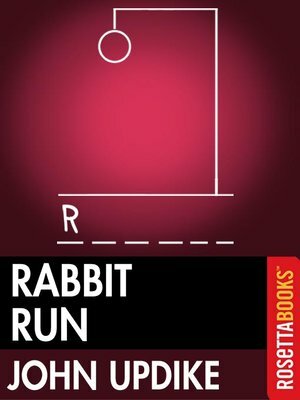 Rabbit Run is the first of five John Updike “Rabbit” novels, all of which focus on their central character Harry Angstrom. In Rabbit Run, Harry Angstrom is a star basketball player in high school and that was the best time of his life. Now in his mid-20s, his work is unfulfilling, his marriage is moribund, and he tries to find happiness with another woman. But happiness is more elusive than a medal, and Harry must continue to run—from his wife, his life, and from himself, until he reaches the end of the road and has to turn back.... The winner of two Pulitzer Prizes and several other accolades for his dry, sulky novels John Updike has become a legendary American author.